Before we get started and before we can even begin to discuss the idea of building a brand, it’s important that some ground rules are established for this conversation. Too often a logo is connected with the term “brand.” Granted, a logo may be a visual identifier for a brand and/or a brand name, but a logo has no use to a prospective customer if there is no perceived value or valued experience they have with an organization and/or associate with the organization and its product/services. It’s just merely a nicely designed, but hollow icon, with no attributions. People will talk, customers on the other hand will advocate. A multitude of definitions for a brand exist, and whether you’re talking to a management consulting firm, a marketing organization, or an advertising agency, you will hear some very elaborate explanations and methods in an attempt to make their service profound enough to charge large fees. When your organization and the products/services you provide connect with a customer in a meaningful manner, and such that they not only move beyond a transaction, but (1) become a loyal customer and (2) are willing to advocate for you (word-of-mouth), then and only then have you established a brand. 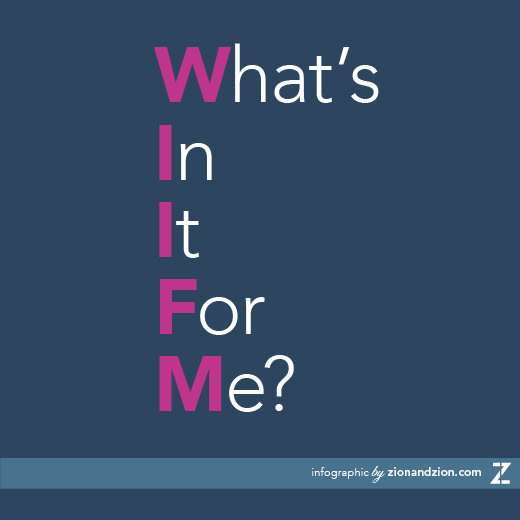 Numerous methodologies and formulations exist to build a brand, and depending upon who you ask, you will get variations that may even seem conflicting and confusing. 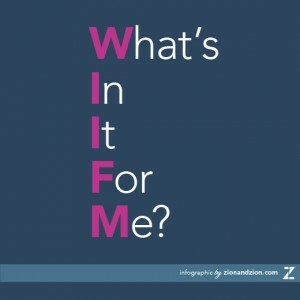 Regardless of which one you buy into, the one common element across any and all of them is to clearly and simply define and articulate (to your internal constituent groups and to your potential customer base) the mindset of, how are you creating value for me – or sometimes referred to as – WIIFM (what’s in it for me)? If you’re using adjectives to describe your product/service that end in “er” (faster, better, stronger, etc. ), you probably don’t either have, or you’re not properly communicating, a true value proposition (or sometimes referred to as a USP (unique selling proposition)). Studies have shown that people will stop to pick up a dollar, quarter and a dime on the street, but if it’s a nickel or penny, the propensity to stop and pick those up drops dramatically. The same applies to your product or service – is the value you’re offering or providing enough to stop someone in their tracks and change their buying behavior, or is it just another penny in the gutter? A consistent name, identity (logo, logotype, mark, graphic standards, etc.) 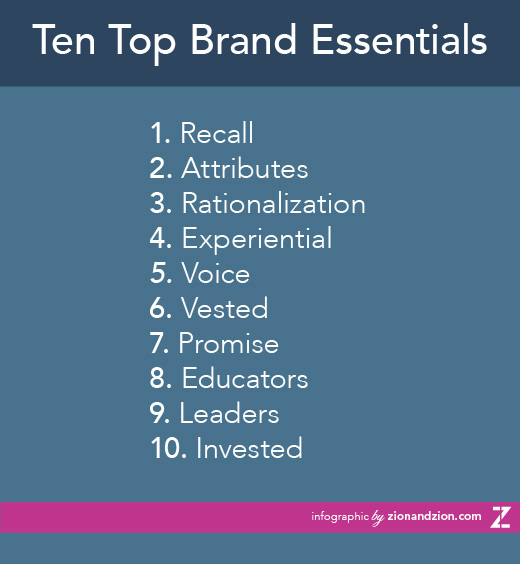 in which customers – and prospects – can identify your organization with, along with their ability to tie specific attributes to the organization (brand name identifies with your logo) is critical to both recognition and recall. Specific assets, qualities, characteristics and such (sometimes referred to as brand pillars) that a customer associates (in a significant manner) with your brand (and identifies with your logo) are key to communicating your brand’s promise and value proposition; as price, time and quality are all features that a customer expects and those that a competitor can easily replicate (if not surpass). Realize that a prospect that you’re enticing to buy will not see every point of communication, marketing and/or sales effort you extend into the market place, so make sure there is consistency in what you put out, as they will take-away some impression and you want it to be the one that motivates them to take some action, i.e. call, stop into a store, redeem a coupon, visit your website, etc. We all like to be thought of and treated as special and with unique needs, especially when it comes to being ‘pitched,’ so make your communications with prospects and customers as personalized as possible in order to invite (1) an open dialogue, and (2) especially to engage in a meaningful two-way dialogue. Earlier it was mentioned that a transaction (website hit, inquiry, purchase, etc.) is not a true customer by virtue that they may not ever buy again, based on your (brand) experience, so think about keeping your audiences engaged with your organization, as a sale does not make a customer, and a disappointed buyer will certainly tell everybody about their (negative) experience! Believe it or not, but our reputation isn’t so much what we hope or want it to be. Rather it’s what the ‘street’ decides it is to be, i.e. Neiman Marcus (needless mark-up), Whole Foods (whole paycheck), General Motors (government motors), Taco Bell (toxic hell), Delta (don’t expect your luggage to arrive), FORD (fix or repair daily), etc., so make sure that what you say (your brand story and its promise) is what you do (deliver) . . . . . or guess what? Be the expert in your field in providing knowledge (not just information) that allows prospects and customers to learn and educate themselves, and inherently become attached to your brand by seeing you as the expert and the (only) place to go for not just the help, but in turn for the product/service associated with that (valued) help. Industry leaders that have not only been innovative in the development of their product/service category, but that have created a strong value proposition and maintained a high-profile marketing presence have in turn become synonyms and the recipients of both global brand names, but more importantly, household names across a product line category, i.e. Kleenex (tissues), Scotch Tape (clear tape), Xerox (photocopying), Google (online search), Q-Tip (ear cleaners), Ziploc (re-sealable bags), etc. Perceptual mapping has been around for the last two decades in which focus groups, and in some cases customers, place a company’s product/service on a variety of spectrums of extremes (ex. Radical – Conservative, Humorous – Traditional, etc.) in an attempt to understand how a brand is perceived and described in the marketplace to determine if you own your brand. Have you just created an expense in trying to sell, or have you been authentic and truly invested in connecting your customer with your value proposition? It’s easy to create a commodity or commoditize your product down to nothing (McDonald’s and Burger King have done a great job at this by forgoing value and focusing on price-competing in the burger wars—gone are the days of “You Deserve a Break Today”). However, creating real economic value in (1) building a brand and (2) sustaining that value is no easy task. 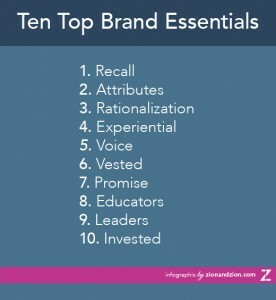 So if you’re thinking that the last ten points are a lot of work, well welcome to the world of branding – there is no quick fix – as this ‘work’ is ultimately your main driver to your organizational revenue stream.